A vital part of being a family is sharing exciting new travel experiences. 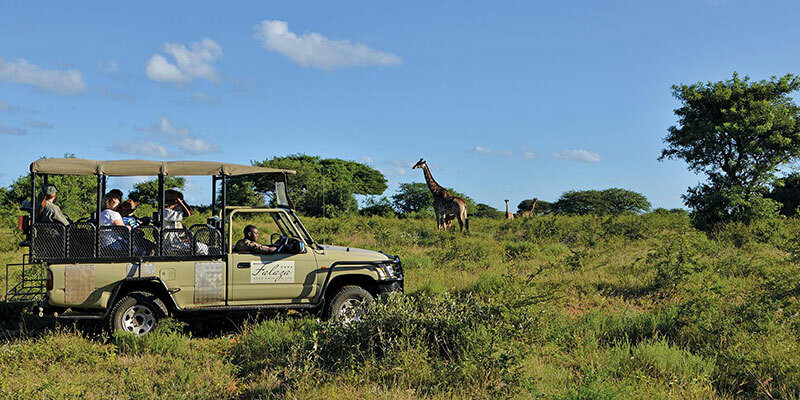 At Falaza Game Park and Spa near Hluhluwe, youngsters of all ages are welcome, and we aim to help them discover the wonders of the African bush and the joys of being on safari. 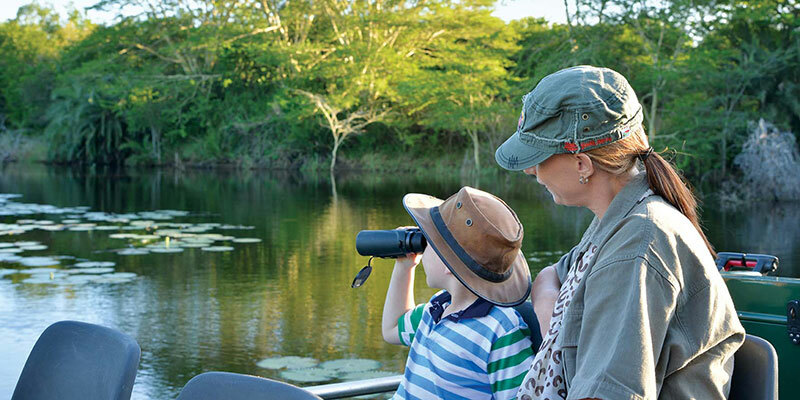 Not only are little ones able to go on game drives for the ultimate bush experience (at 50% of the adult rate), our trained guides can take them to explore the wonders of the night sky and star-gazing as well as ‘frogging’ – which kid could resist these lively amphibians? Special guided walks can be arranged to reveal to the younger generation the wonders of the game both large and small that we have here. For many children this is the first time they are able to walk in the bush and explore the wide open spaces of the wild. We hope that their early safari experiences at Falaza will lead to a lifelong love of the African bush. 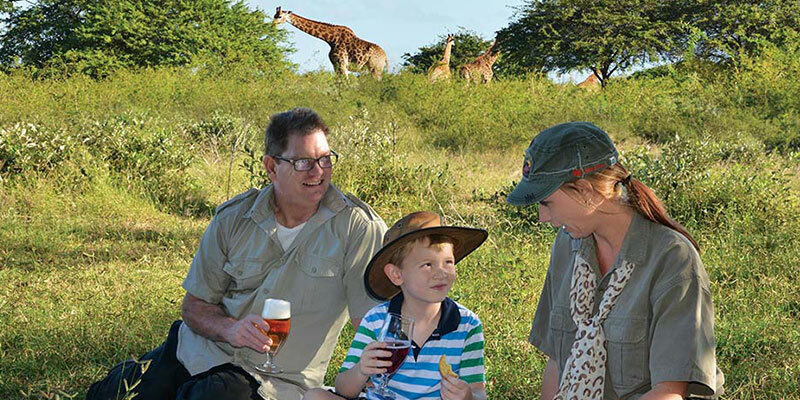 The Falaza team takes pride in offering top class lodge accommodation that caters for guests of all ages. If the kids aren’t happy then they’ll let mom and dad know for sure! We ensure that our guests are comfortable, no matter how small they might be, and we provide camping cots and baby chairs for the ‘littlies’. 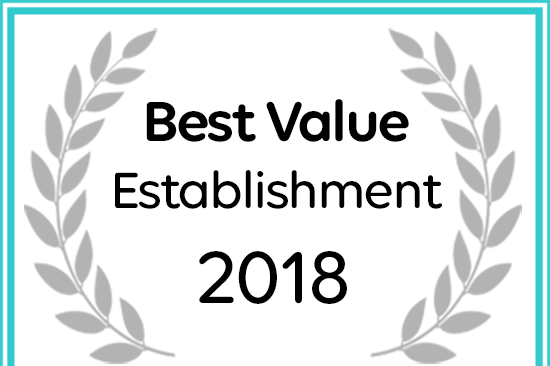 Children have different needs to the rest of the family when it comes to food, so we have special kiddies’ meal times from 18h00 (or earlier on request), as well as child-friendly menus to suit the specific tastes of our younger guests. Should mom and dad need grown-up time alone, perhaps to enjoy treatments at our spa, then we are happy to arrange for baby-sitters to look after the rest of the family. Kiddies can watch television and play board games at our lapa area, splash in the pool and discover the joy of being outdoors in a truly family-focused bush experience at Falaza. We enjoy seeing families return time after time. Who could ever tire of the wonders of Mother Nature? Come and share our world!